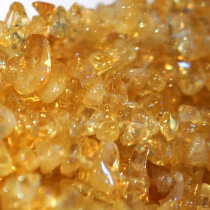 Citrine is a yellow variety of quartz, named after the French word for lemon, "Citron". Most Citrines are actually more of a golden than lemon yellow. Citrine colours includes yellow to gold to orange brown and red shades of transparent quartz. 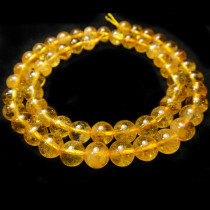 Citrine Round 10mm Gemstone Beads (~40pce Strand) - 40cm/16'" Strand. 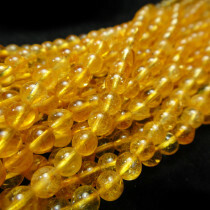 Citrine Round 4mm Gemstone Beads (~100pce Strand) - 40cm/16'" Strand. 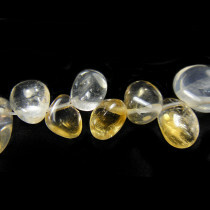 Citrine Round 5mm Gemstone Beads (~80pce Strand) - 40cm/16'" Strand. 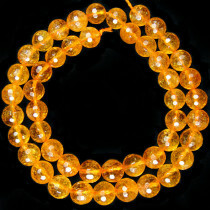 Citrine Round 6mm Gemstone Beads (~66pce Strand) - 40cm/16'" Strand. 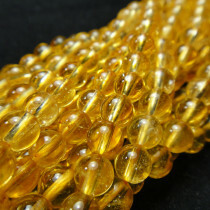 Citrine Round 8mm Gemstone Beads (50pce Strand) - 40cm/16'" Strand. 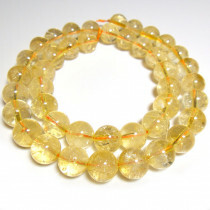 Citrine Faceted Round 8mm Gemstone Beads (50pce Strand) - 40cm/16'" Strand. Citrine Gemstone Large Drop Style Chips 10x14mm (~40pce Strand) - 40cm/16'" Strand. 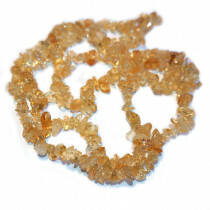 Citrine Gemstone Chip Beads 5x8mm (~160pce Strand) - 91cm /36'" Strand.